Diabetes and Disasters — Do you have an Emergency Plan? Recent events, my own sudden illness, Hurricane Sandy and Spanish supplies running out led me to thinking about how and if we, the #gbdoc, have a plan to deal with any small, medium or even large scale emergency situations. Unsurprisingly, all the mum’s of PWD have an ‘emergency’ supply of everything everyday just to be able to cope with caring for children with D! 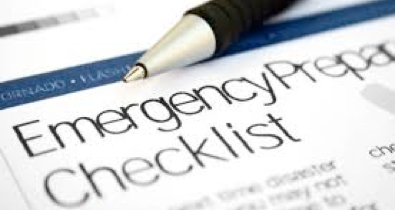 However, when it came to thinking about what to do if the Emergency Services knocked on the door to immediately evacuate with no chance to return say for 3 days, how prepared would you be? Lots of innocent seeming questions that, thank goodness, most of us will never have to answer, BUT — what about that one time that sods law says the toast is gonna land butter side down? Being evacuated from home by emergency services — in fact, anything involving the emergency services! 1. Ask friends/family if you can keep a spare set of sharps/test strips/hypo stuff in a small toilet bag at their house, make sure its checked/updated/replace every 6mths or so! A spare set of everything! Sharps, spare pen/s, batteries, test strips & meter, water, slow & fast carbs, ketone test kit (strips/meter/dipsticks), glucagon, mini first aid kit, space blanket, list of instructions on how to use all the kit, list of meds, ratios, dosages, emergency phone numbers, torch, pencil, paper and anything else you deem necessary! The grab-bag should be refreshed every 6 months or so and everyone in the house should know where it is and what it is for. Also discussed was the use of MedicAlert type bracelets and how some phones allow access to an In Case of Emergency (ICE) number/contact for the emergency services. There are both iPhone and Android apps for ICE. Tonight’s winner of #bgbingo was @annieastle ! !